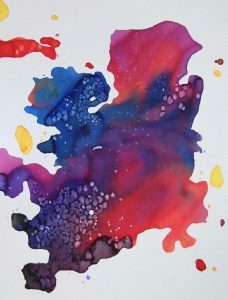 Students will create a mixed media, multi-layered monotype then add additional embellishments for layering opportunities! Workshop fee includes all necessary supplies–paint, paper, brushes, palette and more. Feel free to bring personal items to incorporate into your piece!